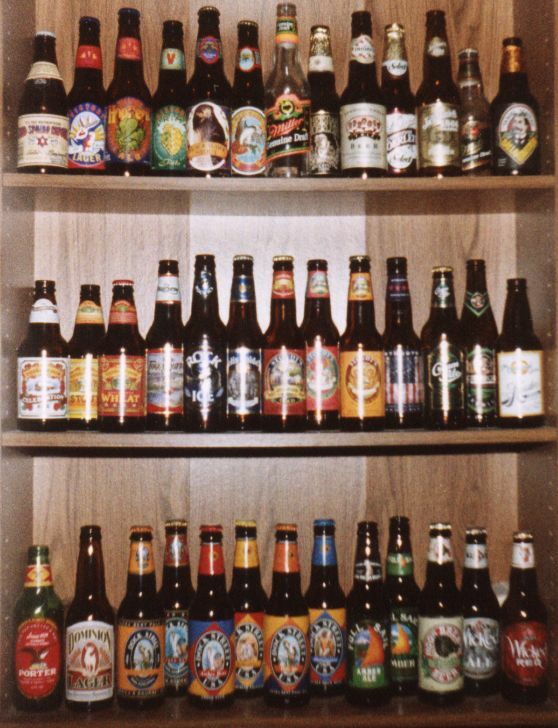 Beer has been an important beverage throughout history, enjoyed in homes and taverns, at beach parties and ballgames, on pirate ships and fishing trips. 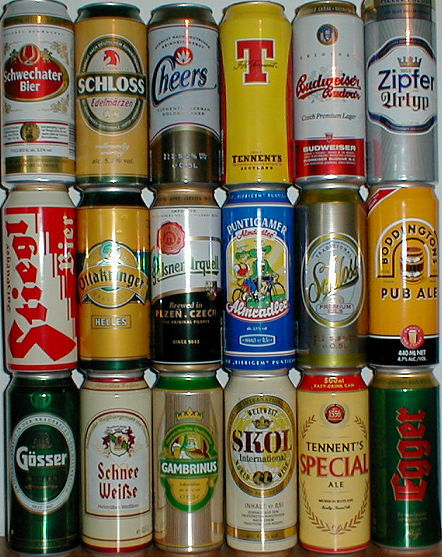 It is a universal drink, that can be found in all parts of the United States and in cultures worldwide. 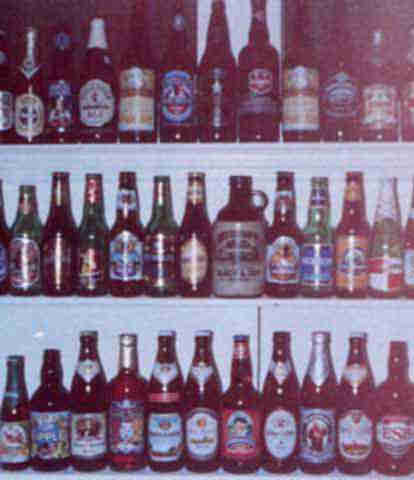 It is because of this social significance that beer bottles display such regal splendor. Whether the glass is brown or green, a unique label is proudly applied to distinguish the brand from it’s cousins, from Alaska to Zimbabwe, while handsomely honoring the frothy libation inside. Major breweries are big business. They’re also big advertisers who come up with memorable advertising. But microbreweries are having a huge impact on the market, finding a niche by offering a wider range of brews. My inspiration for accumulating these unique works of art has been travel–near and far. Regardless of where you find yourself ( the Swiss Alps or Australia’s Outback or high in the Andes or Wilmington, Delaware) you can feel at home because you’re within arm’s reach of a good draught, or at least it’s majestically bottled counterpart! I’d be happy to tell you a little about myself if you’re interested. 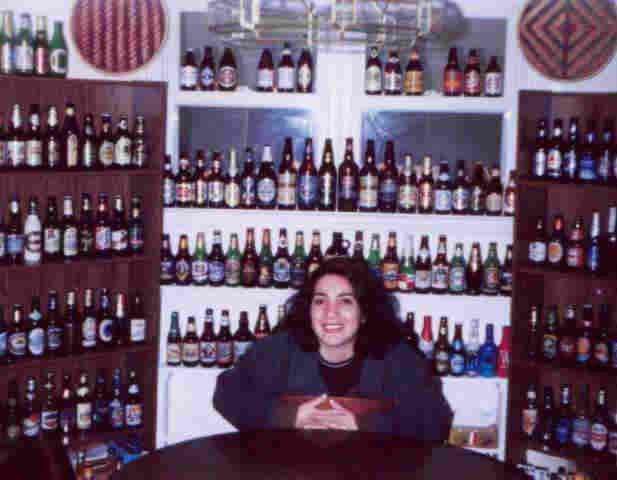 Visit my famous Beer Room (magazine article)! Do you have a bottle or can that needs a happy home? You’ll be honored with your name on the list above, as well as a standing invitation to visit the collection! If you’re in the NY/Philly/Washington area, I’ll come to your door (no shame at all, huh! ).